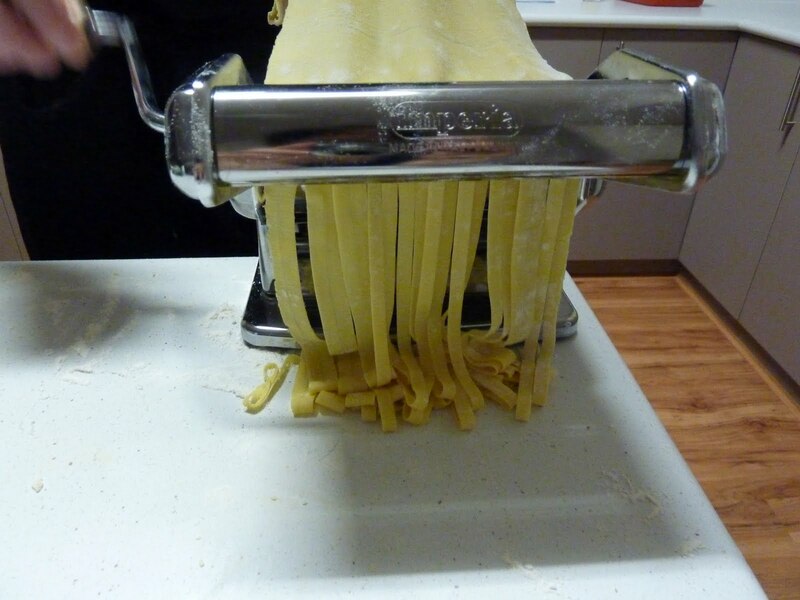 So Sunday night – fresh pasta was on the menu. He’s rolled the dough and here it is resting. We took the recipe for the dough from the Margaret Fulton Food Encyclopedia – an absolute treasure of a book. What a pretty machine it is! 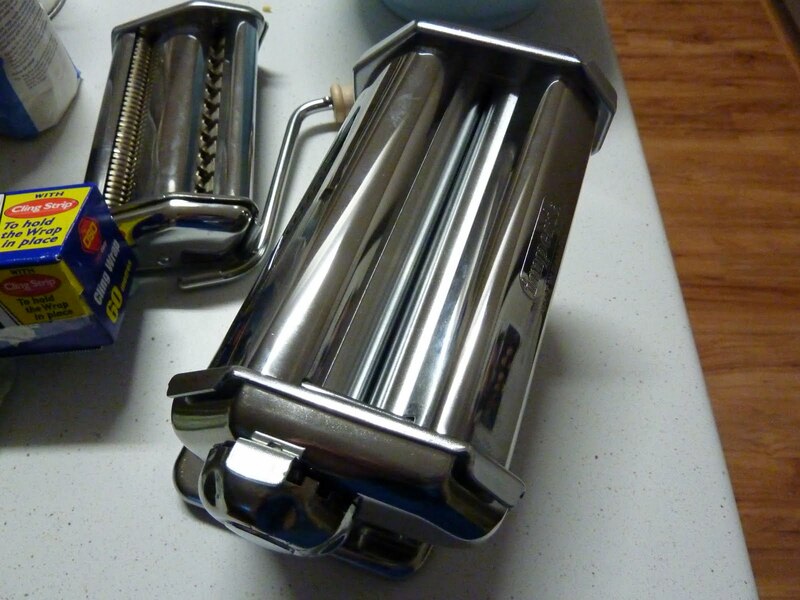 And now trying to roll it out…. 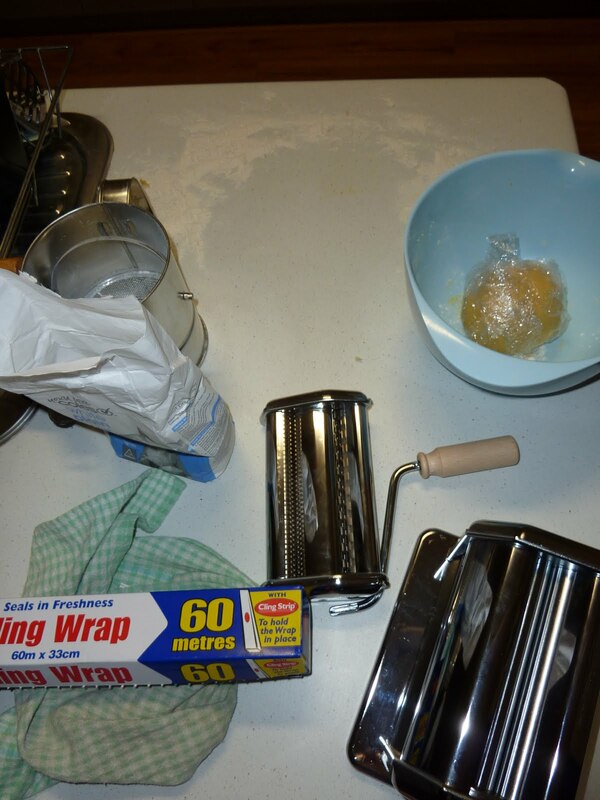 First roll – a success, gotta keep on flattening it out….. a floured bench surface proving very important! 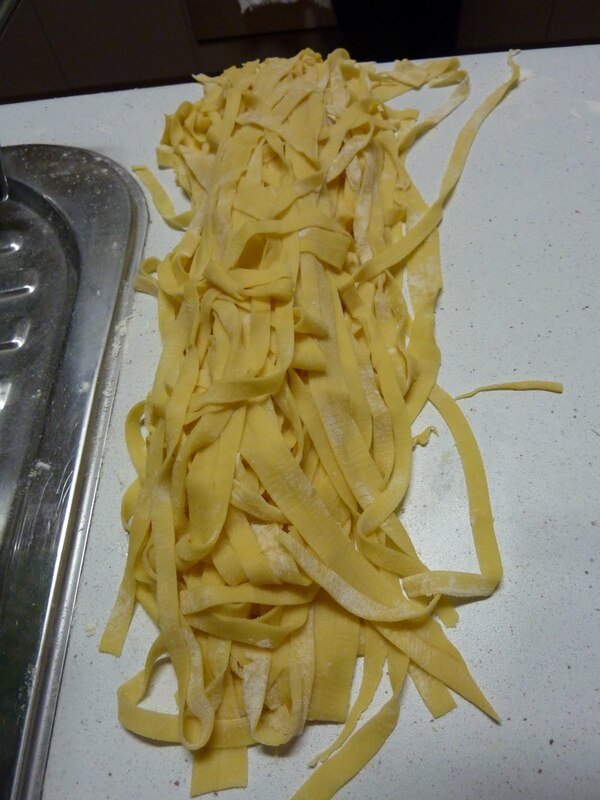 One that was done, now time to turn it into fettucine. Look at it go! 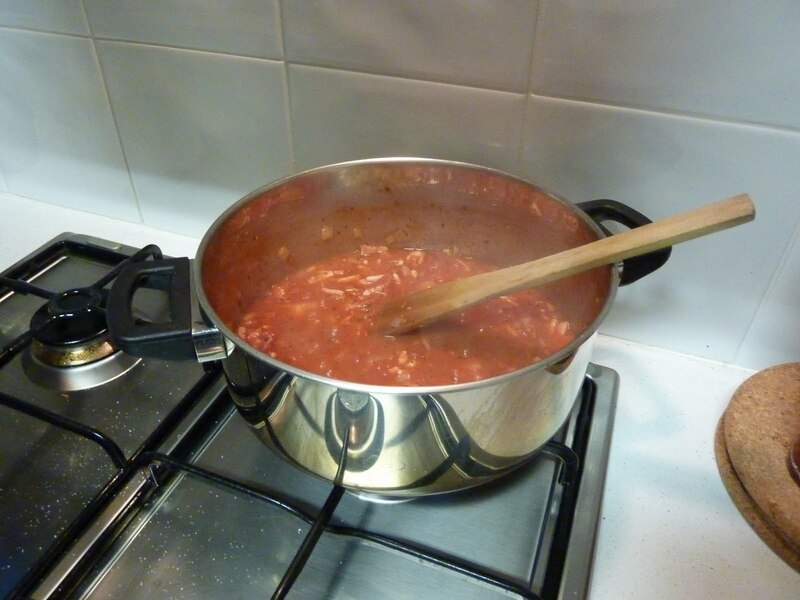 So while GG had been preparing the pasta, I had to whip up a sauce. 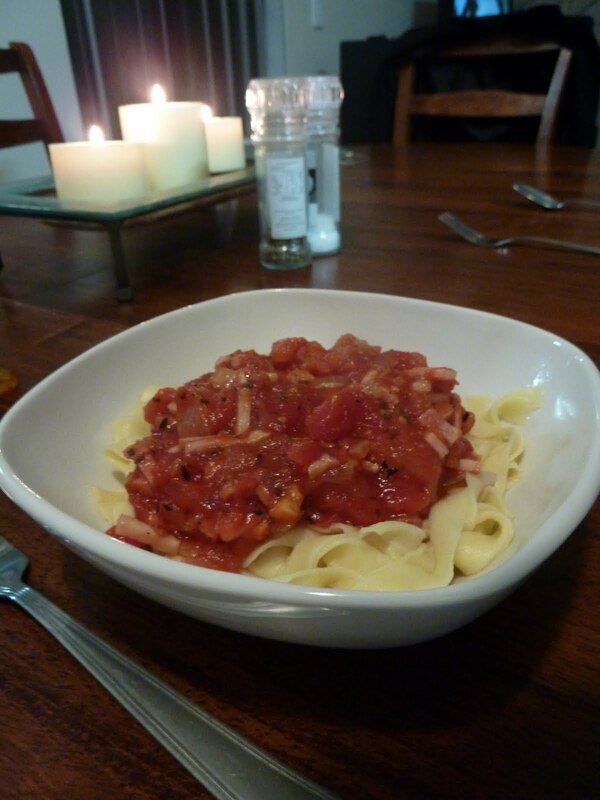 I decided to try for an Amatriciana – tomato, chilli, bacon, garlic – the usual suspects. No set recipe for this, just a trial and error sauce – bit of this and that, trying along the way to ensure the flavours worked. 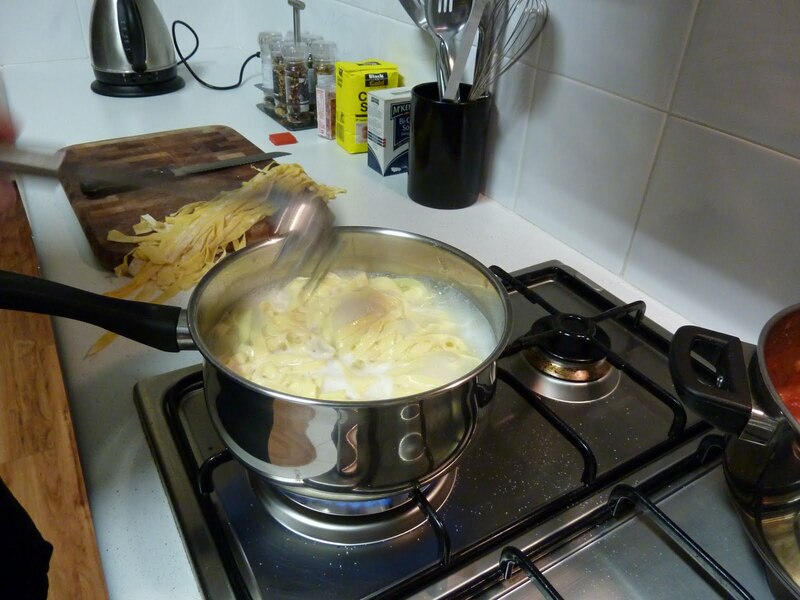 And finally a perfect meal – fresh pasta is just magic!